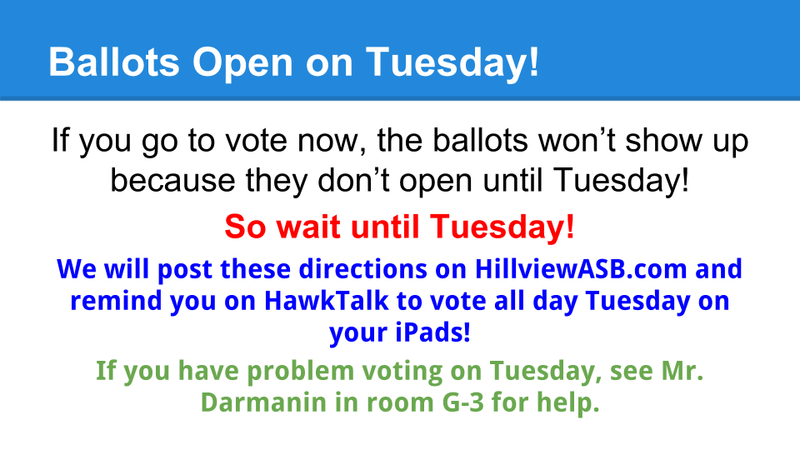 hillviewasb.com: ASB Election Speeches 2014! 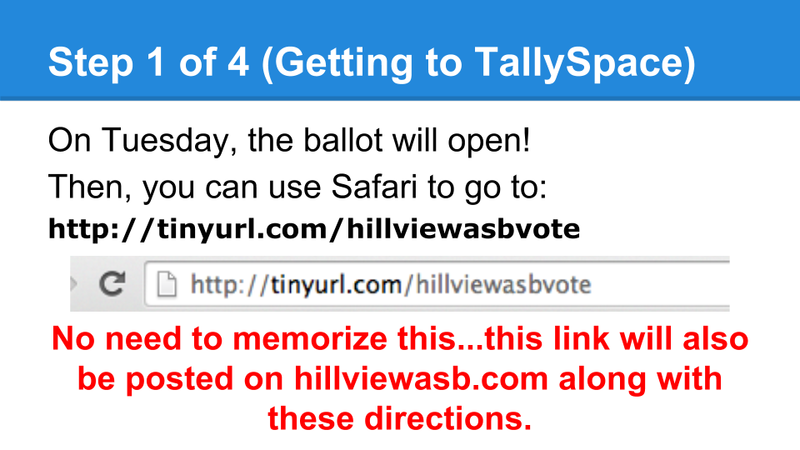 Below you will find a link to the ASB Election Speeches 2014 and a link to the Election Ballot. These are the same speeches you heard during the ASB Assembly on Friday or Monday. If you need time to review the speeches, they are available at the HawkTalk Vimeo Channel below. The Voting Ballot opens Tuesday, April 29 at 8:15am and closes on Wed, April 30 at 10:15am. 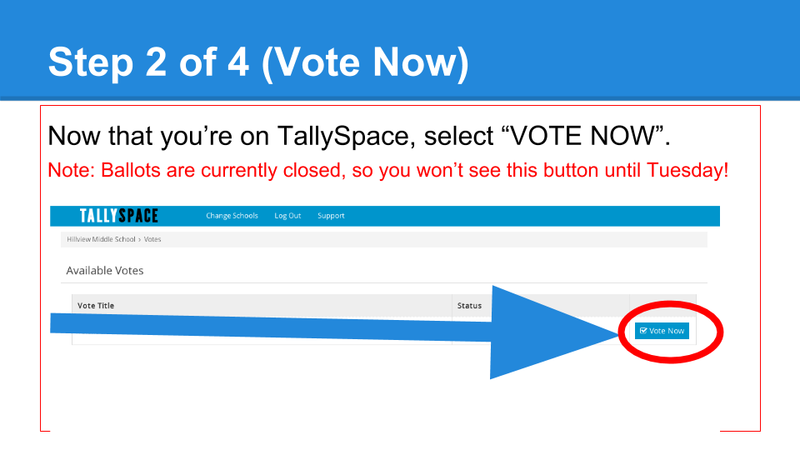 Click Here to Access the Ballot (www.tinyurl.com/hillviewasbvote) Remember, it will not open until 8:15am on Tuesday, April 29th and will close at 11:59pm! 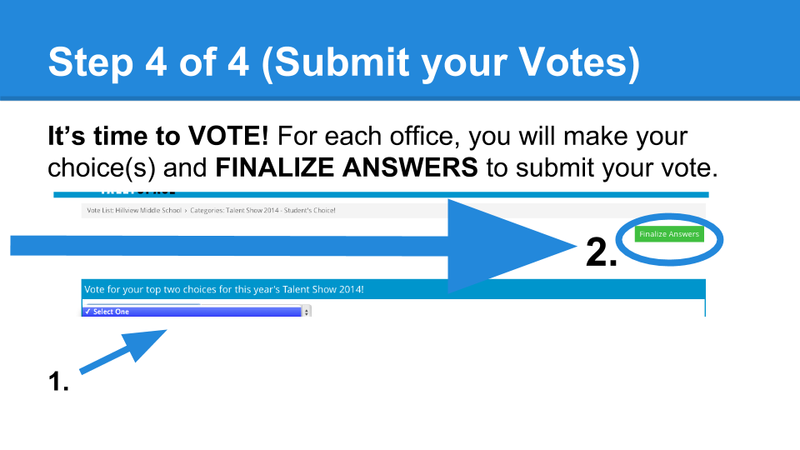 Results will be announced on HawkTalk this week! Good luck, candidates! Need help voting? 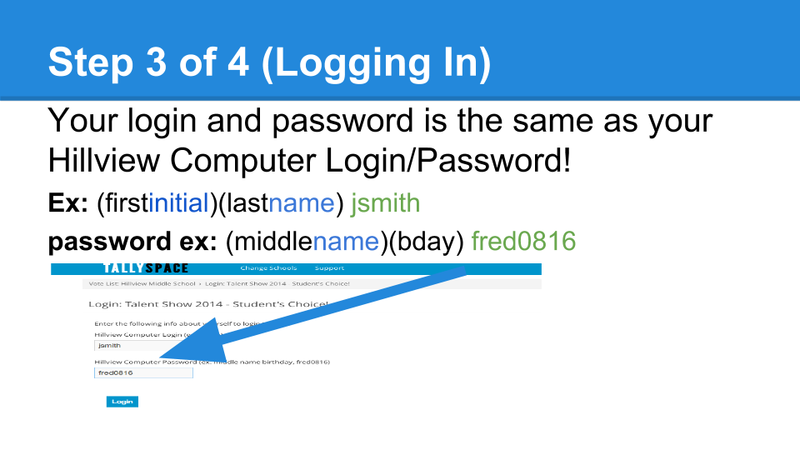 Check out the helpful slides below.